We hope that you’re enjoying the holiday season and doing well! 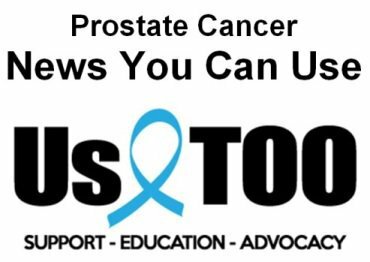 Titles of recent Prostate Cancer News You Can Use are listed below followed by a link to the Us TOO web page that provides access to the full text. ﻿The Us TOO Holiday Hope campaign generates funding for the educational resources and support services provided by Us TOO at no charge. 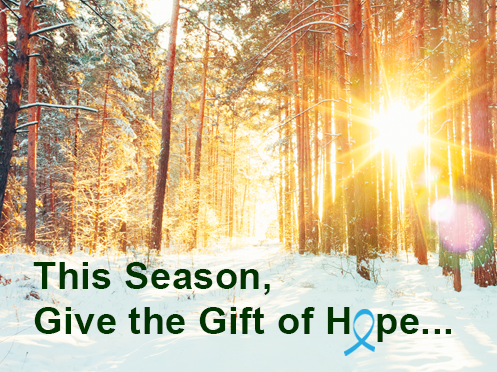 If you’ve already donated to the Holiday Hope campaign - thank you so much! If you’ve not yet donated, please consider supporting the work that we do at Us TOO. While doing your online holiday shopping please remember to shop Amazon Smiles to help Us TOO . It provides all of the same merchandise on Amazon at the same price but designates a portion of your transaction to benefit Us TOO. Simply select Us TOO International as your charity of choice and 0.5 percent of the value of all purchases will be donated to Us TOO. There’s no limit to the amount Amazon Smile will donate. CLICK HERE for all of the details. ﻿Please note that the content below lists only the title of the article rather than a direct link to the content. For access to the full article CLICK HERE . It’s hard to believe that we’re only weeks away from the New Year and we’ll soon be sending you the January 2018 issue of the Hot SHEET newsletter. Take care, stay warm and let us know how we can help you with prostate cancer educational resources and support services. We wish you and your family a joyous holiday season and a New Year that's filled with new information, new opportunities and hope!